I didn’t have anything to play and I also wanted to do a new review. I didn’t want to make a review of some super old game (6 mo. to 1 year) so I had to make a choice of available games in PS Store. 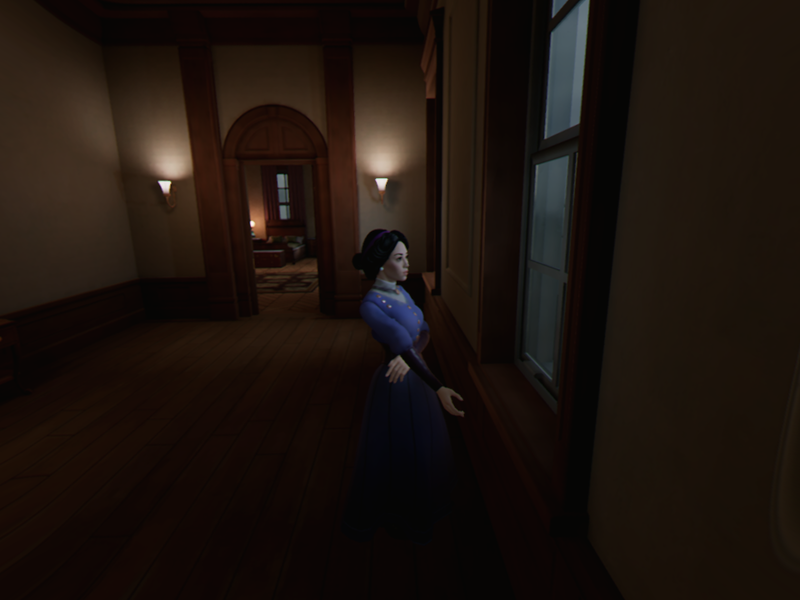 I quickly found a PSVR game called The Invisible Hours. And I have to say right away that this game is something I have longing for. It is something new and for PSVR it is perfect. 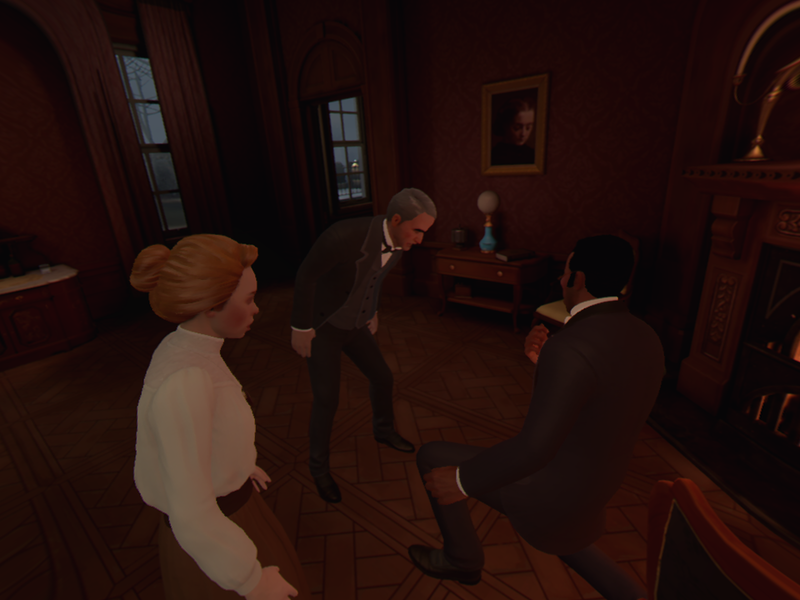 The Invisible Hours is a murder mystery game that is in many ways different than other games usually; you don’t actually “play” it and by that I mean you won’t play as any character — you are more like an observer of the happening (like a huge act) and you can follow and listen anyone you like to solve WHODUNNIT!? Who’s in the controls anyway? And I always choose YES. The sad news is that you can’t change the controls at all. I have no idea why since they both would work. But in this kind of game teleporting and 40° turning makes sense. I think it even makes the gameplay much more comfortable since you can jump far distances rather quickly and there is also an option to make the camera teleport automatically by following certain character. There is a downside though. Like everyone knows how PSVR image shifts, to god knows where, the image is always in wrong position and it needs to be corrected like every time you teleport. In freely moving controls this wouldn’t be an issue since you could turn as you like but with this chopping—turning you are mostly out of the picture. It frustrates a lot but I can forgive that. And also I teleported to wrong places all the time and it was sometimes hard to keep up with the game. Player also can stop time (pause the game and move freely in the area), rewind and fast forward to go through scenes again. 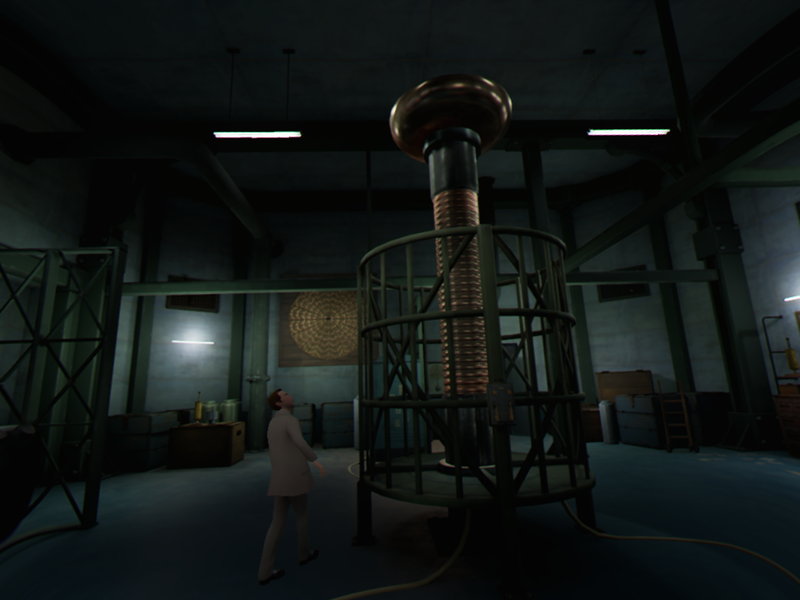 Pick up objects and rotate them (usually just for fun or for trophies, and because this game is about Nicola Tesla, there is all kinds of weird contraptions of his) and read letters or notes. And that’s all you need, my love. This game is voice acted and it is wonderful. Background music is sometimes overwhelming and overpowers the voices but I think it also depends of what angle you are to the character since all PSVR games have 3D sound which means the sounds and voices will move along as you turn your head so it feels more realistic. This game ain’t pretty, let’s be honest but for PSVR it is OK—ish. I have seen much prettier PSVR games than this but in this piece the story and the mystery is more important than how many pores you can count on character’s face. Graphics are very simplified and the details is what it is but like I said, this is more about the story. This totally remains me of Agatha Christie’s Hercule Poirot (or Miss Marple if you must) story—wise and character—wise. The story starts with a Swedish detective Gustaf Gustav (I know. I can’t even either) arrives to a Nicola Tesla’s mansion which is in a tiny island and there is also other 6 guests there. Right when he arrives they found Nicola Tesla murdered on the hall floor. Immediately Gustaf starts to investigate and questioning everyone and there you have it. The story begins. As you follow other characters the whole story opens up for you bit by bit to a finest little details and I think you must follow all of them since the whole picture is well written and every character seems to have secrets. I long wondered why about Nicola Tesla, but as the story goes towards the end it makes perfect sense. The Invisible Hour has 5 chapters and they are relatively short but as I said you’ll need to rewind or start a chapter again to follow every character so it takes time but still I played this through maybe in 4 hours. This game is simple and I think anyone could play it. PS Move controllers are compatible with this but I don’t have those so I can’t say anything about how they work. 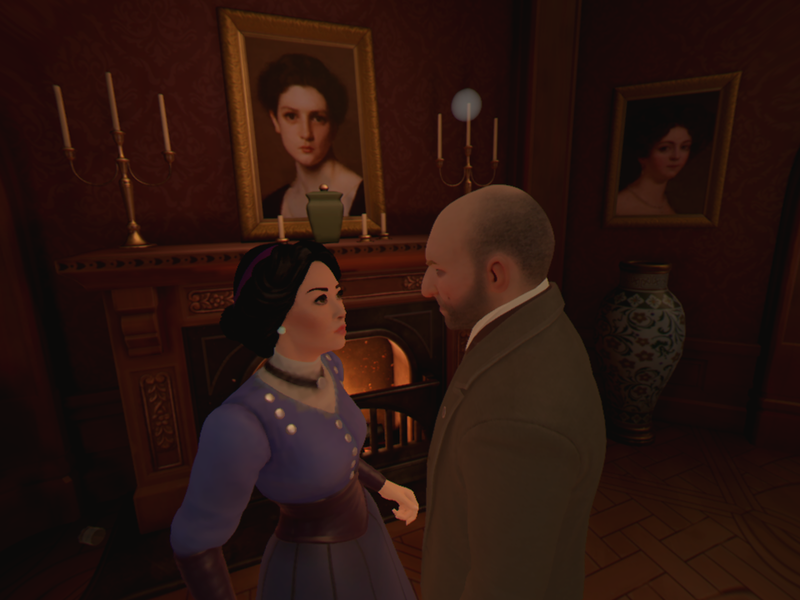 The Invisible Hours is needed to be played multiple times or at least you should re—play a chapter again until you have followed and listened and learned all the characters what they do and where they go at given time when you were elsewhere. You’ll quickly learn that everything and everyone is not as it seems and you need to fill a big picture and question everyone’s motives and alibis. You can choose who to follow as you like and you can jump from one character to another but if you have trouble of following a little bit twisted plot I recommend you to follow one person at time and re—play it until you have learned all their stories. After every chapter you can review what you have seen and heard. There is also a timeline and a map which shows you where each character was at given time (you, of course, need to see it first to get it). The mansion where you play is huge and you can go outside as well. There is many places and rooms that isn’t relevant to the main story at all (other than there might have some notes or collectibles in those areas) and it makes this game even more vast. 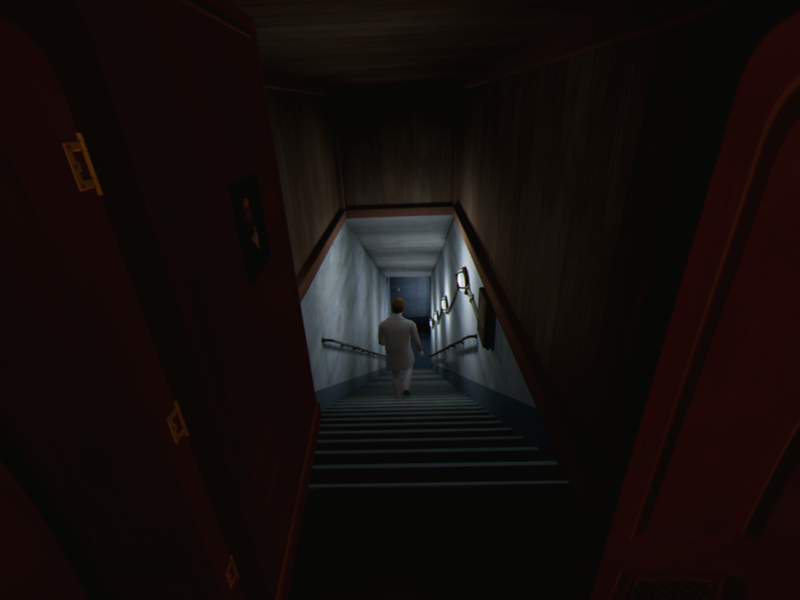 It is interesting to investigate rooms you’ve never been before and sometimes just gaze all the details of the game. I don’t know why I’m even writing this here since there is no difficultiness at all in this game. 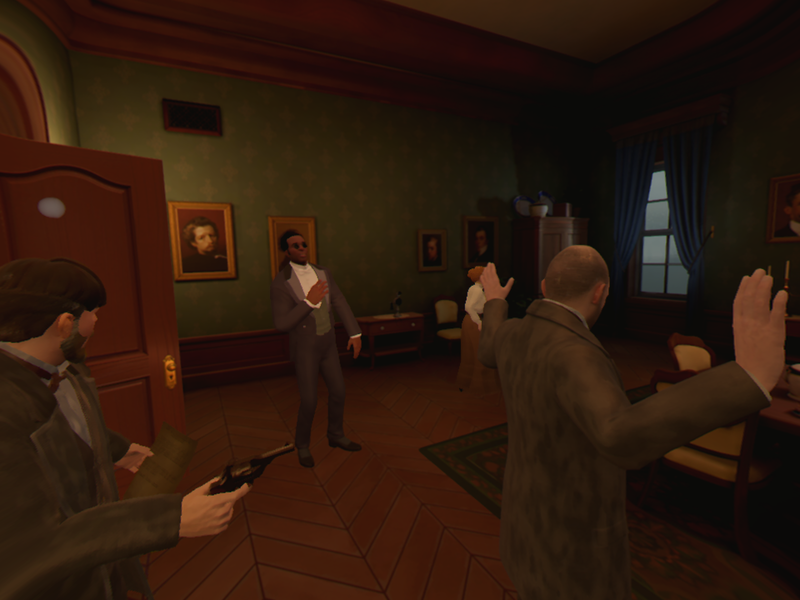 It is super easy and if I need to say something hard it would only be that you’ll need to follow all the characters as they roam around the mansion and rewind/fast forward to listen all the NPCs and collect all notes/objects/evidences to have all trophies. It’s maybe the only difficulty what I see in there. This game is fairly new (released October 17th 2017) and I don’t know how much it cost when it was released but now it was 39,95€ on PS Store and I must say it feels heavily overpriced. The game is not a long one what so ever (one character’s chapter lasts around 10—15 min.) and there is total of 5 chapters. I ain’t telling you. Hah. 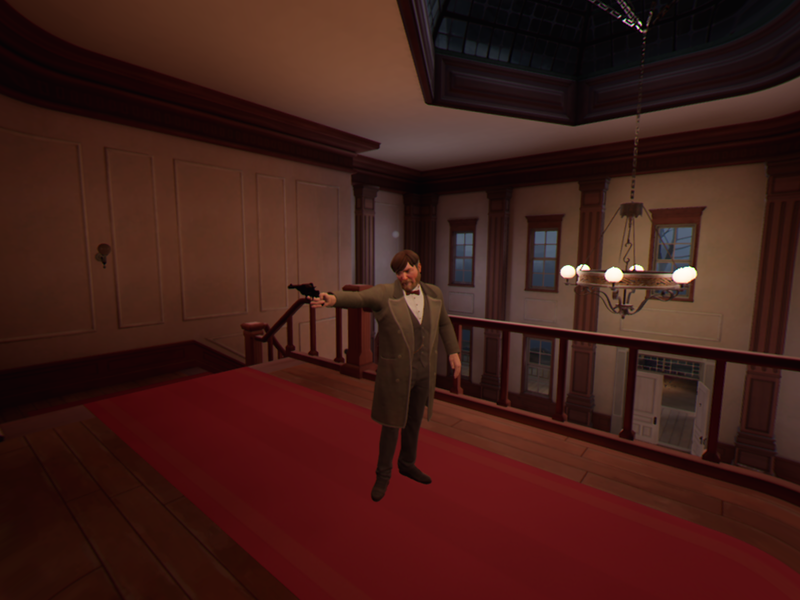 The Invisible Hour end is little bit confusing since it doesn’t come to a complete conclusion (or at least in my playthrough) but the story overall is interesting and the idea itself is something totally new. This is like a huge act that you must follow and listen carefully and who is the murdered changes all the time in your head as the story goes on. I love this game and I hoped it would’ve been much longer or there would be something extra or DLC or something. The gameplay was relaxing and you could literally just sit and watch what they do. My feelings are totally positive and only negative is the high price, short story and little bit awkward controls. This game is must play everyone who has the PSVR but I would recommend to get this game when it is cheaper. 39,95€ is A WAY TOO MUCH. I would say 20€ would have been right price for this since this doesn’t feel full length game, more 1/4 of it. Even though you’d collect everything there is to be collected it still is short since I could almost find all of them in one playthrough. As I have said before VR games should also be non—VR so everyone could enjoy them. Of course it feels totally different to play it with VR but not everyone can afford PSVR so it would be fair. to fill a big picture and question everyone’s motives and alibis.